Are you or someone you care about getting older and want to make sure your home is well-equipped for your needs as you age? If so, it may be time to do some remodeling to better outfit your home for the golden years. 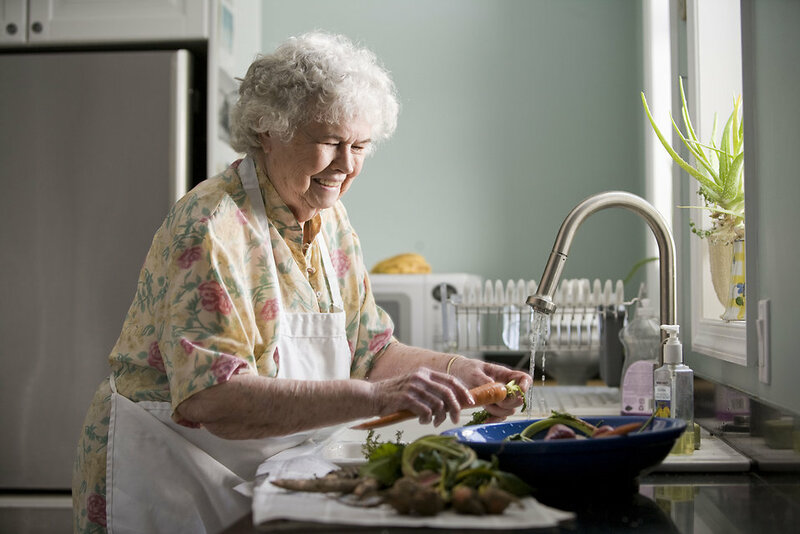 Here are a variety of tips on remodeling for the elderly to make a home a more welcoming and comfortable place for you or your senior loved ones. Install levers instead of doorknobs. Replace faucet handles with levers as well. Standard doorways are 32 inches wide. Expand this opening to 36 inches so that wheelchairs can more easily pass through. Place light switches 42 inches above the floor. Someone in a wheelchair will be able to reach them, and they’ll be positioned in a spot that’s comfortable for most people to use. Install motion sensitive lights at the home’s entryways. Commercial grade carpeting, wood, laminate, and ceramic tile (as long as grout joints are no more than 3/8ths of an inch wide) are good floor coverings to choose for someone who uses a wheelchair or a walker. Try putting washable commercial carpet squares in your kitchen, which can be replaced easily if necessary. Build in pocket doors wherever possible. Use light switches with dimmers. This will allow a mixture of daylight and lamplight in the room, and the light levels can be changed depending on the time of day or night. When working with walk-in closets, install pull-down wardrobe lifts. Adding grab bars to the bathroom is an important part of remodeling for the elderly. These are best installed along walls and in showers and bathtubs where slips and falls are more likely to occur. Build open spaces into lower cabinets to make room for wheelchairs. Counter heights should differ—make sure they’re at comfortable levels for you, the homeowner, or the person living in your home. Add boards that pull out and lock into place; these are effective means of safely providing extra counter space. Don’t put faucets at the back of the sink. Place them to the left or the right of the basin instead. Make sure all appliances are easily accessible. For example, keep microwaves 8 to 10 inches above the countertop. You can raise dishwashers and elevate front-loading laundry machines to make these appliances more easily accessible. Take measures to help prevent eye strain. When choosing counter materials, select those that are nonreflective. You can also find appliances that have larger-sized writing on them. Oasis Home Inspections offers our inspection services to Brevard County in Florida. Contact us to schedule your appointment!